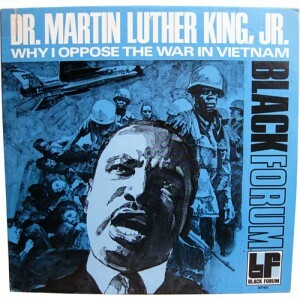 Dream Deferred | Martin Luther King, 2001: A Space Odyssey and Underground Resistance – WTF is going on? Their questions hit home, and I knew that I could never again raise my voice against the violence of the oppressed in the ghettos without having first spoken clearly to the greatest purveyor of violence in the world today — my own government. For the sake of those boys, for the sake of this government, for the sake of hundreds of thousands trembling under our violence, I cannot be silent. These are the words of Martin Luther King, in his last ever speech (4 April 1967), A Time to Break Silence: Why I oppose the war in Vietnam. It is one of his greatest and most important speeches. He first spoke out against the war in 1965. 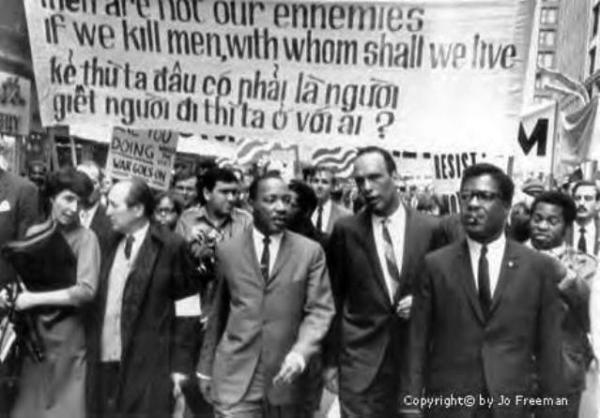 His public opposition to the war was made against the wishes of the leadership of the Civil Rights Movement, and both the National Association for the Advancement of Colored People (NAACP) and Ralph Bunche accused King of linking two disparate issues, Vietnam and civil rights. King’s speech in New York’s Riverside Church was his powerful and uncompromising response. Edgar Arceneaux has used King’s speech as the main backdrop to his new film, A Time to Break the Silence. Well what links King’s anti Vietnam war speech, Kubrick’s 2001: A Space Odyssey and Detroit’s most militant Techno crew Underground Resistance? The film intersperses scenes from Kubrick’s masterpiece with a reconstruct of King’s speech made in a ruined Detroit church. Using the structure of a Catholic service, the music of Underground Resistance breaks in at exactly the same points that choral music does during a traditional Christmas mass. 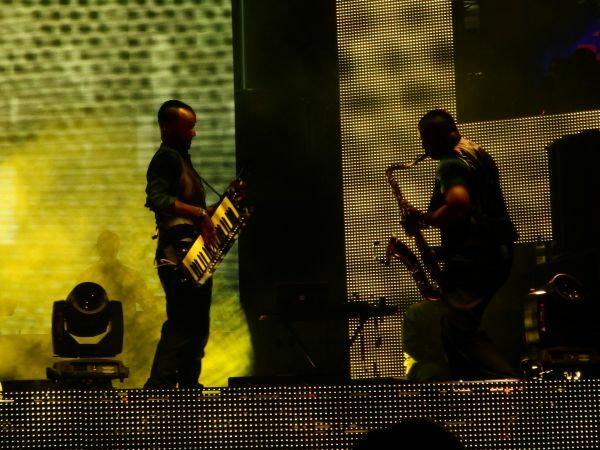 Underground Resistance is a musical Techno collective based in Detroit. For over 25 years they have been producing uncompromising music geared toward promoting awareness and facilitating political change. The collective rejected commercialisation, the DJs did not identify themselves and performed hiding their faces behind bandanas. The two disparate events are intimately intertwined. Arcenaux’s creative practice turns on the points of contact shared by seemingly unconnected events tangled; so the civil rights movement and labour rights that dominated MLK’s life are inextricably associated with artificial intelligence and its capacity for violence and social advancement, as put forward by Kubrick’s cinematic opus. Arcenaux by bringing together bringing together the old and the new and this fusion of politics, music and film, is very rewarding and it makes you think about all three segments in different ways – Underground Resistance music compliments King’s speech perfectly – however I do feel the Kubrick sections feel a bit clunky. This isn’t just a film commenting on 1967. The war against war and poverty is as relevant today as it was then. This is an independent film – if you get a chance go and seen it. For seeing beyond the veil of the sacred, and the forces of history telling that obscures the vulnerability of the peoples humanity who were and are trying to make great change. The importance of Underground Resistance and Ray 7 aka Tunnel Seven﻿ in the film, They are making the technological music of the future right now in the present. Hi Edgar, thanks for the warm words. If you ever come over to England to promote the film, I would like to help promote it.